On launch day at the NASA Tweetup I got up and left a bit earlier than I did the day before anticipating some heavier than normal traffic on the way to the Kennedy Space Center. They told us they were expecting 30,000 people on site for the launch so I wanted to make sure I got to the twent in plenty of time. I also knew there would be some extra security but I wasn’t sure how much. 14 miles from Gate 2 traffic ground to a halt. It took me an hour to go the next 5 miles. Since I had left early I was doing ok for time but I didn’t know if traffic was going to be this heavy all the way to the press site or not. The first security checkpoint was a temporary one being manned by the Florida State Police near the Astronaut Hall of Fame. I was amazed at how many vehicles were turned back. Talk about waiting in line for hours for nothing. At that checkpoint, you had to have a ticket for the KSC Visitors Center or for the Hall of Fame in order to proceed. If you didn’t have that you were turned back. I pulled up, showed my credentials, and was waved through onto the NASA Causeway, after the officer called me a ‘tweeter’. 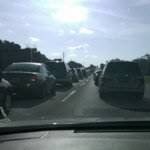 Traffic on the Causeway was normal so I was back to driving the speed limit. Yeah, I know, I know. The next checkpoint was at the KSC Visitors Center. Again, I showed my golden ticket and kept going. The third checkpoint was the Gate 2 badging station, there I had to show my credentials and a photo ID but was again waived through onto the Space Center. The final checkpoint was at the press site. Here again I had to show my photo ID and my credentials but I was granted access and headed to the parking area. I’m glad I left early, even though the traffic added an hour I still go there in time for a schedule change. In order to accommodate NASA’s Deputy Administrator coming to talk to us they moved the group photo at the countdown clock from 10am to 9:40am. Wouldn’t want to have missed that! Does Anyone have a Leatherman? The list of security requirements for the NASA Tweetup was rather long and included not bringing knives or blades of any kind. I typically have a Leatherman Micro in my pocket and don’t know how I would live without it however for the Tweetup trip I opted to just leave it at home. It can’t go on the plane; it couldn’t go to NASA so I just left it at home. I hadn’t been in the Twent for an hour when one of the NASA setup crew asked if any of us had a Leatherman or other pocketknife so he could fix something on the tent. We all laughed, for obvious reasons. Long Pants and Closed Toe Shoes? One question I asked a lot at the NASA Tweetup I attended last week was regarding the requirement that on Day 1 of the Tweetup that we had to wear long pants and closed toe shoes. Coming from an Indiana winter, I was looking forward to wearing shorts in the hot Florida sun once I was accepted for the Tweetup. All through the first day we couldn’t figure out why we had to wear such warm clothes, and believe me, it was warm. Finally, towards the end of the day as we were heading to the launch pad to watch them retract the RSS (Rotating Service Structure) they explained the safety concerns that forced our dress code. We were able to visit the launch pad within 24 hours of launch so the SRB (Solid Rocket Boosters) had already been fueled. Do to the potential dangers for leaking gas they want anyone within a mile of the launch pad to wear long pants and closed toe shoes. The gases that may leak are heavy in nature and would fall to ground level where they can burn your skin or cause other types of irritation. Even though it was hot and my jeans were sticking to me, it was all very well worth it. Being 200 yards from the launch pad with the shuttle on it and ready to go was incredible. I would have worn my snowsuit if that’s what they would have required. As part of attending the NASA Tweetup at the Kennedy Space Center for the final launch of Space Shuttle Atlantis on STS-132 we were told that NASA would take a group picture of the attendees at the countdown clock. I was pretty excited to even be at the countdown clock let alone get a picture taken there. Can you find me? I'm in the second row near the clock. Maybe this will help. As an added bonus they also took our picture while at the launch pad for the retraction of the Rotating Service Structure. We were not scheduled to have a photo there but I'm glad we did. The photographer for our group was NASA's HQ photographer. He has done things like taken the official shots for presidential administrations so he seemed to know what he was doing taking pictures of a bunch of geeks. I'm harder to find in this one but bonus points if you can do it without scrolling down. The photographer had one simple instruction for our group. He said, "If you can't see me, I don't care." Worked out pretty well. So getting here was fun. I got to the press Accreditation Building early and they were processing us so I was able to get my credentials before the big line formed. Then it was off to the first security checkpoint. I showed them my badge and passport and the guard was perplexed. Fortunately, he didn’t turn me around. Before I got there they had already turned around several cars. He just had me pull over to the search area. It would appear the Tweetup folks changed the way the credentials looked and failed to notify the security checkpoints. About 5 minutes later he came back with my badge and told me I was good to go. Then I arrived at the press site checkpoint and was again pulled off, as my name, along with several other folks’ names, was not on the list. 5 minutes later we were cleared, provisionally until they got the official list. I’m not fussing though, at least they let us in, and I got a great view of the VAB from the checkpoint. See the security truck? Rarely do I get to utter the words, “Our flight was met at the gate by cops.” As you know if you’ve been following me, although I’m not sure why you would, I was traveling yesterday on my way to attend a NASA Tweetup at the Kennedy Space Center for the launch of STS-132, which is scheduled for 2:20pm tomorrow. This entire trip has been a series of good things consistently offset by a series of not so good things. I consider myself a seasoned road warrior so no much surprises me anymore but I still find these instances fascinating. I do want to thank all my 'friends' who automatically assumed the officers were there for me. Hopefully this will set the record straight. Our plane landed at Orlando International Airport 45 minutes late due to weather issues at IND and ORD. I was sitting in the first row of first class at the window. During the flight a guy from coach came up to use the first class lavatory but he couldn’t get to it as the flight attendant was serving us lunch. She told him he would need to use one of the two lavatories in the back of the plane. It is kind of an unspoken rule that if you are in coach you don’t use the lavatory at the front of the plane. They don’t like you congregating near the cockpit door for obvious reasons and they really want the folks in coach to feel like second-class citizens. Irritated he went away. About 10 minutes later, with the beverage cart still in the aisle, he came back up to try to use the lavatory again. She again told him to use the ones in the back of the plane. He said he was mad about the poor customer service and stomped off towards the back of the plane again. We didn’t see him again until the cops boarded. While we are taxing to the gate they announced several times that we were supposed to remain seated with our seatbelts securely fashioned until the captain turned off the fasten seatbelt sign. Nothing new there. The plane came to a stop at the gate and we were all waiting for the sign to be turned off. Since it was taking so long I didn’t even know if we were at the gate yet or if they were waiting on someone to operate the jet bridge. Since I was sitting up front, I heard the main cabin door open and could smell the fresh Florida air. While I’m wondering why the door is open and why we can’t get up I see the first of 2 heavily armed Orlando police officers board the plane. One of them gets on the PA and says, “This is the Orlando Police. Remain seated.” About 30 seconds later, our friend from earlier in the story is escorted out. 30 seconds after that they let us go. I was the first person off the plane and walked up the jet bridge behind the lead flight attendant and one of the Orlando officers. The other one I’m guessing had taking our pal into the nether parts of the airport that normal folks never get to see. Officer – Did the passenger not follow your requests and instructions? Flight Attendant – Well, I guess. I’m not sure. Officer – Ma’am, it’s a yes or no question. I need a yes or a no. Flight Attendant – Yes, I’m tired of people like him, yes, he did not follow the instructions of the flight crew. Officer – Please come with me to the FBI office so we can take a statement. Hoping they wouldn’t see me or ask me for a statement I slowed down and once they veered off I headed for the train to baggage claim. While waiting for my bags I got the rest of the story from the folks in coach. Apparently, after his second attempt to use the lav in the front of the plane he made a bit of scene with the flight crew in the back about not being able to use the bathroom and use the bathroom he wanted. They all made it sound like he was a moron who got what he deserved. So, the moral of the story, and if you don’t know this already you probably shouldn’t be breathing, is that you don’t mess with a flight crew. Duh. Never a dull moment, although anymore I would kill for one of those. Season finale episodes are upon us and on a recent trip to Los Angeles (the same trip we saw The Big Bang Theory taping) we saw the season finale of The New Adventures of Old Christine taped. To get tickets I just went online to the Audiences Unlimited website and was surprised to find tickets were available. I easily got 3 tickets for myself, my wife, and Donnie Payne. Someday I hope to be able to blog without Donnie being part of the story. Being a long time Seinfeld fan being able to see a former Seinfeld cast member live and in person was exciting. Plus it gave me another chance to get back on the Warner Brothers lot without security trying to chase me away. The New Adventures of Old Christine, hereafter referred to as Old Christine, tapes at Stage 5 on the Warner Bros. lot in Burbank, CA. Stage 5 is next to Stage 1 where they tape The Ellen Show. The masses of screaming women going in to see a taping of Ellen were lined up and walking into the sound stage when we arrived at the lot. We arrived a bit earlier for this taping then we did for Big Bang because we did not have VIP tickets or reserved seating. We were just plain old normal folks. The weather was nice so we wandered around a bit while the Ellen folks got through the audience cue area and then we got in line after securing our cell phones, cameras, and any other form of connection to the real world in the rental car. We were numbers 4, 5, and 6 in the line. Let the cattle herding begin. The security folks came through and checked our ID’s and stamped our hands. I’m not really sure why they stamped our hands as we were never asked to show that our hands were stamped. Regardless it made us feel important. The VIP folks were first taken across the street to the lot and through security. Then our group of regular folks went across and through the security check point next. We lined up across the street from the sound stage to wait for folks to use the bathroom. About 15 minutes later they took us to the stage. After going through another metal detector we were ushered to our seats. From this point forward most of my comments will be comparing the Old Christine taping to the Big Bang taping. They were so radically different that comparing them seems the best way to describe the Old Christine taping. The audience area for Old Christine was much nicer than Big Bang's. The Big Bang bleachers were just padded seats with backs. Old Christine had bright red theater seats which were much more comfortable for the 5 hour taping. Since we were close to the front of the line we ended up with font row center seats. What I can’t figure out is the episode we saw taped is the current season finale. I would have thought there would have been more VIP’s but it worked out well for us as our seats were front row right in front of Christine’s living room set, near the kitchen bar. The most enjoyable feature of this taping was that they didn’t block off the sets from view. During the Big Bang taping, they blocked any part of the set they weren’t using. For Old Christine they left it all open so we had lots to look at and were able to see a lot more of the setup that goes into shooting each scene and even each shot. The warm up MC guy was also much more relaxed. He was from Fishers, IN of all places and did a great job keeping us entertained while also allowing us to enjoy the experience and the show. His resume includes shows like Designing Women and The Golden Girls so he was definitely a seasoned pro. He even gave scripts autographed by the entire cast to those in the audience whose birthday was March 10, the day of the taping. Between shots the MC wouldn’t do anything which allowed us to watch the reset, watch the writers and producers make notes and changes, and actual hear what was going on. At Big Bang at each second of downtime, the music was blaring and they were trying to entertain us. I saw and learned much more about how TV shows are made at the Old Christine taping. The episode we saw filmed airs tonight at 8pm on CBS. It is the season finale and had a few other actors in it that I’m fans of from other TV series. Since our seats were right on the rail we also got to talk with the cast a bit. Hamish came up to us several times talking to friends sitting beside us. Another celebrity was in the audience that night sitting 4 seats down the row from Heather. Jennifer Gray (Dirty Dancing) and her 2 children were there. I didn’t know she was married to Clark Gregg (Richard). Donnie asked Clark and he confirmed it was his wife and children in the audience for the season finale. There were also more bloopers. When the actors goofed up they went with it and we all had a good laugh. On Big Bang goofs were bad and something not to be enjoyed. The opening shot of the episode has Christine (Julia) getting some glasses out of a cupboard and Barb (Wanda Sykes) pouring a bag of microwave popcorn into a bowl. Julia had the giggles from the start and they ended up going through 5 or 6 bags of popcorn just to get the taping started. That set the tone and it was a lot of fun from that part forward. Before the taping began, they showed us a previous episode. It was one we had already seen but when it was over Donnie and I noticed a buzz coming from the audience monitor speaker. Sound stages are setup to provide minimal amplification for the studio audience of the live action. They can’t turn it up too much or it will feedback but they have small speakers spread throughout the audience so we can hear the live action. These speakers are especially helpful if the action is taking place on a set away from where you are sitting. The buzz kept getting worse as they filmed and we notice some of the audio guys coming over to check it out. They asked us if we heard the buzz and we told them we heard it, when we heard it, and that it sounded like a 60 cycle hum due to high voltage crossover. The guy told us he would check it out. After the next shot he came back and asked and we told him it was still there. A while later he came back and said we were right, it was a 60 cycle in the feed line for that speaker and that someone from Warner Bros. would be by to fix it the next day. Apparently, the union crew for the show sound can’t mess with the union crew gear for the studio sound. We offered to fix it for them but they passed. Overall, it was a great experience. The taping lasted about 5 hours and then we headed off to dinner in Burbank, down the street from NBC Studios. As I’ve said, I like The Big Bang Theory as a show much more than Old Christine but we all agreed that we had more fun at the Old Christine taping and got so much more out of it. So listen for us laughing tonight. I won’t be able to watch it, as I will be at the Kennedy Space Center for a NASA Tweetup. Go figure. from ORD-MCO. It may also be my last post from said location. Several have been asking about my schedule at the NASA Tweetup event I’m headed to on Wednesday. As you know, my sole purpose in life is to please my massive online audience and as such, I’m posting excerpts from the STS-132 NASA Launch Tweetup Agenda & Details email I received Friday. If you are a regular follower of this blog, as I’m sure you are, you know I don’t post as often as I should. That is all about to change, at least next week as I will be posting frequently, especially while I’m at the Kennedy Space Center. Part of the deal getting to attend this event is that the attendees promote NASA through the various social media platforms. To get the most current updates please follow me on Twitter @JonathanESmith or by clicking the link on the left side of the page (scroll down). I can’t promise that my political views about the current and future states of our nation’s space program won’t seep in along the way. For fun my 2 cent editorials are in red. The Tweetup will take place at the press site at NASA's Kennedy Space Center. After you check in and receive your badge, you will drive yourself to the Tweetup parking and tent at the Kennedy Space Center Press Site. Turn right out of the badging parking lot and proceed approximately a half mile to Gate 2. After showing your badge, proceed ahead, traveling under the overpass and go approximately 4 miles toward the Vehicle Assembly Building. Turn right at the light at Saturn Parkway, passing the OSB building on the left and the OSB II building on the right. The Press Site is on your right just past the OSB II building. You will see a sign at the entrance marked "LC-39 Press Site." Turn right into the entrance and bear left into the lower parking lot. You will need to show your Tweetup badge and photo ID to the Security Officer, who will direct you to the parking for the NASA Tweetup. Please park only in the area designated for Tweetup attendees. You will see the tent ahead of you. Please proceed to the tent and claim a spot at one of the tables. The program will begin at 10 a.m. Your credentials allow you to drive only to the press site and do not provide general access to drive around NASA's Kennedy Space Center. If you drive anywhere other than to and from the Press Site, you forfeit your credentials and attendance at the NASA Tweetup. No person will be permitted past the security gate without NASA Tweetup credentials. This means every person in your vehicle must be a Tweetup attendee. Tweetup participants will have their own air-conditioned tent with video monitors, power outlets, WiFi and tables and chairs. We will have free Wi-Fi available both days. The SSID and WEP Encryption Key for the STS-132 NASA Tweetup will be available at registration. Cameras, video cameras and tripods are allowed. However, if this is your first launch, we strongly suggest you put the camera down and enjoy the experience. After all, we have photographers and videographers there, too. 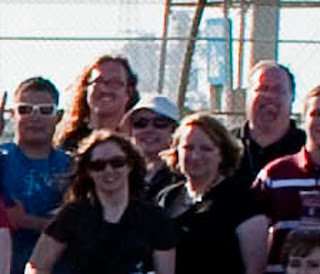 The Twitter account for the Tweetup is @nasatweetup. We are following all those who are confirmed to attend. You can view the list of attendees at http://twitter.com/nasatweetup/sts-132-launch. (I'm on the official list.) 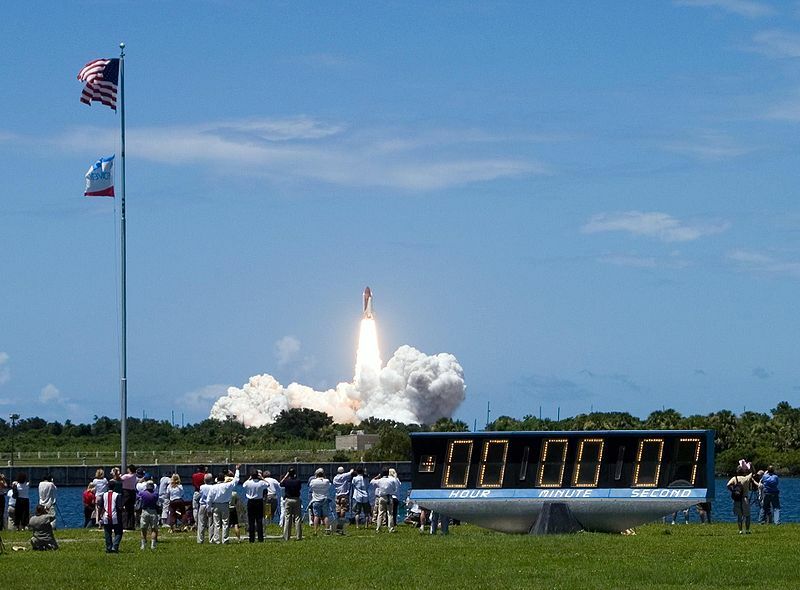 If you are not already following @nasatweetup, please do so; we will post updates and reminders about the event there. Feel free to send questions you may have to that Twitter account. We will use #NASATweetup as the hashtag. Restrooms are located in a concrete building on the hill, behind the press site auditorium. If you fail to follow the rules and heed the instructions of NASA security and your public affairs escorts, you could lose your credential and your privileges to attend the launch. Your badge will provide admission to the Launch Complex 39 Press Site both days. DO NOT LOSE YOUR CREDENTIAL. You must have your Tweetup badge and government-issued photo identification with you at all times. Please note: Your STS-132 Tweetup confirmation and registration does not qualify you for news media credentials at NASA's Kennedy Space Center, now or in the future. FOLLOW THE LAUNCH: It is your responsibility to keep up with the date and time of the shuttle launch. Follow @NASA on Twitter to receive regular launch updates. You also can receive regular launch updates at http://www.nasa.gov/shuttle. Updates also are available by calling 321-867-2525. We will e-mail you if there is a major change to the agenda, such as a scrub early in the morning during fueling. You can view a schedule of the milestones to launch at: http://www.nasa.gov/mission_pages/shuttle/news/132_countdown_milestones.html. A media briefing and events schedule is online at http://www.nasa.gov/mission_pages/shuttle/news/132_hours_events.html. NASA's Kennedy Space Center is part of the Merritt Island National Wildlife Refuge. While on Kennedy Space Center you may encounter a variety of wildlife, including alligators and poisonous snakes. If you see such an animal, do not approach it or attempt to feed it. Please notify a public affairs officer or other NASA personnel. Please be advised that hazards are inherent in launching and launch viewing of a space shuttle mission. By accepting the invitation to view the launch or landing you do so with the understanding of the potential risk. Although NASA applies stringent range safety principles and techniques to protect the general public, workforce and property for all areas of the Kennedy Space Center during launch, in the event of an inadvertent circumstance, hazards including debris, blast and toxics could occur. It is imperative that you stay within controlled areas with your group and strictly follow all instructions provided by NASA. Although an accident during lift-off of the space shuttle is highly unlikely, some safety precautions are necessary. As is the case with the launch of a space vehicle, a potential danger exists from toxic vapors contained in any cloud formed as a result of a launch mishap. In the event of an accident, all persons at NASA's Kennedy Space Center should take shelter immediately in the nearest air-conditioned building. A few weeks ago I applied for the NASA Tweetup Event at the Kennedy Space Center for the May 14 launch of STS-132. I figured it was a long shot at best as the event is limited to 150 people. I also am not one of those people prone to such luck. The registration period is limited to 72 hours. Within 12 hours of the registration period closing I received an email from NASA notifying me that I had been placed on a waiting list for the event. It didn’t tell me what number I was on the list just that I was on the waiting list. I assumed that was the end of it. The Tweetup provides access to areas off limits to the general public and since there are only 2 more shuttle flights after this one I assumed the line would be a mile long to get in. The only thing I had on my side was the schedule. Aside from our 11th wedding anniversary that weekend was clear. Yesterday, much to my surprise, I received a confirmation email from NASA stating I had been accepted and my registration had been confirmed. Either a lot of people were unable to confirm their attendance or I was close to the top of the waiting list but either way my registration has been accepted. Today I received a rather lengthy email from NASA with the details of the event. This is going to be so cool! I have wanted to see a shuttle flights since I was in elementary school and now I get to see one of the final flights. If you don’t catch STS-132 this month, STS-133 in September or STS-134 in November then in order to see a manned space flight in the foreseeable future you will have to go to Russia. STS-134 is the final shuttle flight and then the fleet will be retired. As of now the United States does not have another manned vehicle option ready. The politics of that can be discussed another time in another post. We get to watch the launch from the press site, which is closed to the general public. This is where the famous countdown clock is located. NASA provides us with an air conditioned tent Wi-Fi access, tables, power, and monitors to watch and listen to all the live missions control and NASA TV feeds. This location is only 3.2 miles from the launch pad. The closest public viewing is the NASA Causeway near Titusville, FL at 6 miles away. While they specify that we will have access to this area they ask that we refrain from walking directly in front of the clock so we don’t get in the line-of-shots for the news organizations that will be setup as well. The launch is scheduled for 2:20pm EDT. We attend a 2 hour program and interaction with NASA shuttle technicians, engineers, astronauts and managers. A bus tour of the space center. On launch day they will have more speakers and visitors for us but they emphasize that we will have free time prior to the launch. Normally the tour and launch viewing access cost. As part of the Tweetup those things are free. According to the Tweetup website, “The goal of NASA Tweetups is to allow people who regularly interact with each other via Twitter to meet in person and discuss one of their favorite subjects: NASA.” As such they mention on the things to bring list that we are to bring our laptops and favorite tweeting devices and chargers. They also point out that we should ensure our devices are fully charged for the tour portion as remote power will not be available but is available at the Tweetup tent and during the launch itself. Aside from the dates working out well I also have amply frequent flier miles allowing me to get a variable date ticket. This should allow me to modify my departure and return dates based on the status of the shuttle launch. NASA states that in the event of a scrub we will be invited to the second launch attempt. They do not state what will happen if there is more than one launch attempt that is scrubbed. That should be interesting. Knowing my luck, well, let’s not go there. This afternoon I submitted my request for credentials and agreed to a background check. Provided all that goes through you will be able to follow the Tweetup on Twitter @NASATweetup or @NASA. 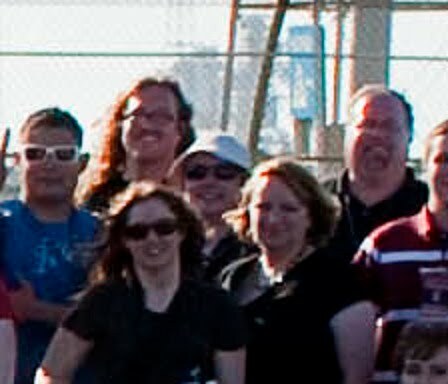 I will also be listed shortly on the official STS-132 Twitter list http://twitter.com/nasatweetup/sts-132-launch. Another side benefit is some of the tweeps that I will get to meet at the event. One in particular that stands out is @LanceUlanoff, the editor-in-chief of PC Magazine. All tech folks know that PC Magazine is like the bible of IT. So, in keeping with NASA’s objective you will see more blog posts, photos, and tweets about this event as it approaches. Have I mentioned how cool this is!! !